Inspired by flatweave Gelims discovered in Northern Iran Ptolemy sourced dyers and weavers who were able to achieve elegant and mesmerising blending of colours. Visually soft and feathery yet strong and graphic, almost Rothko-esq, this collection is a beautiful example of Ptolemy’s ‘chromatic minimalism’ celebrating an ancient technique which until recently had been forgotten. Created with ptolemy’s unique signature sense of colour these are truly original designs. Hovering between fine artworks and functional design they evoke a sense of timeless craftsmanship. 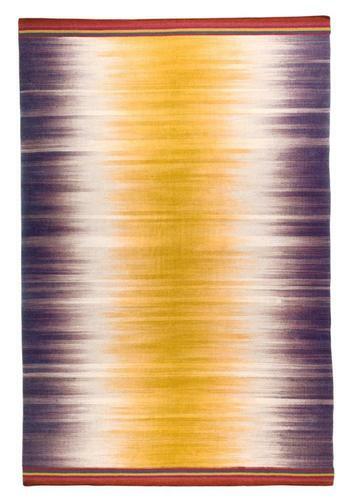 Designed by Ptolemy Mann and made by Rug Maker.